I recently told a reporter from The State in South Carolina that weblogs are like a "global bowling league". It made sense at the time. 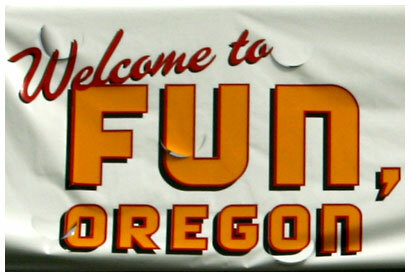 ;) TheState: Blogs across America. The past week or so on Metafilter, Matt has had a note about registering to vote at the top of every comments page. You can disable the notice by clicking a link saying you're already registered—this sets a cookie to let the MeFi server know the note shouldn't be displayed for you anymore. It's very simple, and if ads are going to fund the web (grumble) why not try commercial click-vanishing ads like this? I bet people would be willing to click on ads at sites they frequent if they know that doing so will make the ad disappear for a limited time. It would be easier for readers than blocking the image server, or using other technical tricks to defeat ads, advertisers could get more click-throughs, and both sides could acknowledge openly that ads are annoying. With click-vanishing ads I'd see them and think, "hmm, there's another ad. Better click it to get rid of it." Just to cause trouble, I moved all of the RSS feeds at this site to new locations. So if you're reading this post through an RSS reader, this may be the last post you get. ok, I didn't just do it to cause trouble. I'm trying to squeeze all of the performance I can out of the server, so I'm rearranging things to be more efficient. I'm trying to do more page-generating rather than dynamic-serving, and I'd like the feeds to have cool URIs. I'll set up redirects for all of the old feeds, but I'm not sure how feed readers normally handle HTTP redirects. Let me know if you have any problems with the feeds. I ran each of these through the Feed Validator, and they all checked out so I'm hoping they're set. First, these people are thrashing. They're floundering. They're desperate to find a way in which their organizations still add value. They are in denial but, it seemed to me, they know that there's just about nothing that the market wants from them. For example, at one point someone said, "Content is king." I replied that judging from the content they're producing, marketing is king; that's where their real value is. b!X summarizes an imaginative look at Portland of the future that was written in 1913: Tonight We're Gonna Party Like It's 1999. Because mid-air is not a location where tracks can (or must) be laid, there are no franchises awarded by the City government, which causes both much trouble for and much annoyance from the railraod companies, whose mode of transportion suffers along with that of the steamship, since people prefer to fly. Country homes become more popular because of the ease of movement provided by air transportation. The author predicted the decline of railroads and the rise of suburbs, they just didn't have the correct vehicle that would make it happen. Somewhere around ten years ago, I studied Journalism at the University of Nebraska in Lincoln. The bulk of the Journalism classes centered on skills required for day to day work like writing, production, videography, and *shudder* performance. In addition to these, every J-student no matter what their focus—print, broadcasting, or advertising—had to take three core classes: Mass Media Law, Mass Media History, and Mass Media and Society. Looking back, these were my favorite Journalism classes (even though Media Law was difficult for me), and they've had the biggest impact on my daily life. If I remember right, these classes were only open to Journalism students, and I think that's a shame. Mass Media affects all of our lives, and these classes made those effects apparent to me. They're where I first heard words like "gatekeepers" and "opinion leaders". They're where I saw Mass Media's monetary goals conflicting with its goal of keeping people informed. These classes gave me a base of knowledge I could use to critically evaluate any media I came across in the future. So I think everyone should take these kinds of classes, or study the media where they can. So my Journalism classes whet my appetite for understanding how the Media works, and since then I've read several books about the Media that have helped me understand it. 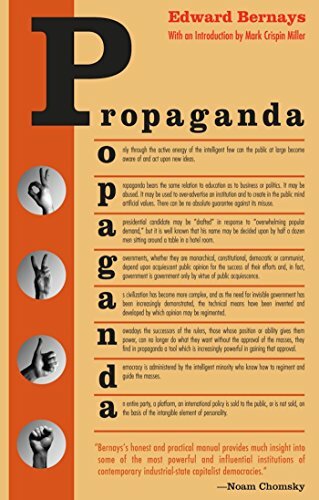 I thought I'd share a few of those books, and put together a list of sources I would use if I was teaching Guerilla Media Literacy 101. 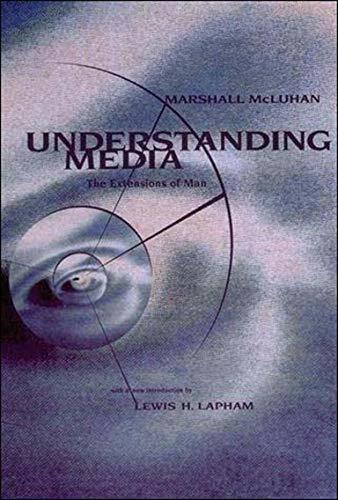 This was one of the first books about Media I read, and I think I was just interested in the visual style of the book. It's a very entertaining read, and discusses concepts that helped me understand the technology of Media. After the first read, the concept that made the biggest impression on me was the idea that media is an extension of the body, "the wheel is an extension of the foot...electric circuitry is an extension of the central nervous system." 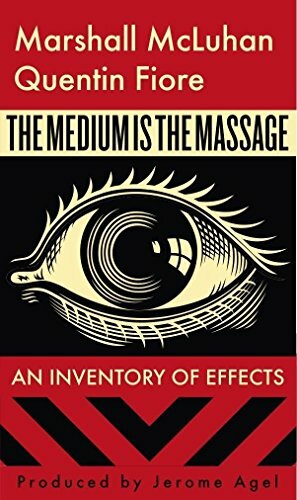 This book expands on the ideas in The Medium is the Massage, and examines specific technologies in detail: clothing, money, clocks, print, comic books, games, typewriters, television, etc. I spotted a reference to this book randomly on someone's weblog a few years ago and picked it up. Boorstin was a historian, and Librarian of Congress for many years. He wrote many books about the history of America and the American experience. 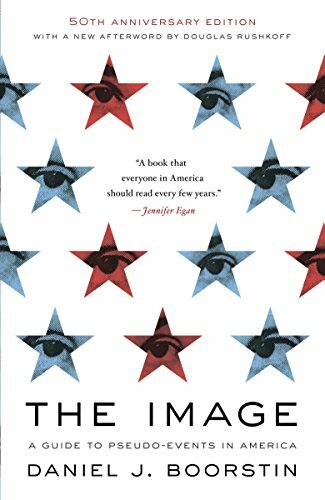 This book is his look at the American Media, or as he says, "...how we have used our wealth, our literacy, our technology, and our progress, to create the thicket of unreality which stands between us and the facts of life." His concept of specifically-fabricated pseudo-events (opposed to spontaneous events or propaganda) helped me understand the idea of "news". The book also has some great ideas about celebrity. This is a very dark look at the negative effects of television on society. It was difficult for me to read, but it pointed out some important mechanics of television to me. I wrote a bit about my reaction to this book in December, 2003. Now...this. Media producers use all kinds of psychological tools to sway public opinion or create demand for products. In this book the tools are explained and backed-up by citing psychological studies. Now that I know these tools exist, I can see them in action all the time. Wow, is this book dry. But it's like having that Media Law class in the palm of my hand. I use it more for reference than for light reading, but just flipping around it can give you a crash-course in key concepts like privacy, defamation, obscenity, and lots of other reasons lawyers are hired. 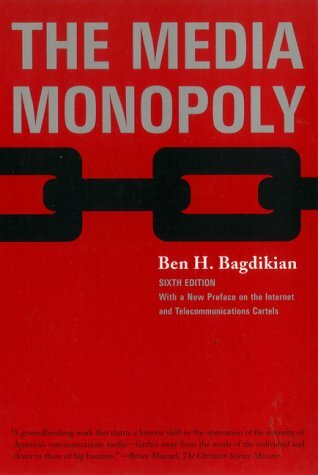 It's also interesting to read about the FCC and how/why broadcasting is regulated. This book is a critique of the business-side of Media, and challenges widely held ideas about how advertising pays for our "free" media for us, and makes things cheaper. The book also takes a look at how Media consolidation is limiting the number of voices and points-of-view that we get to hear, and how advertising affects content. 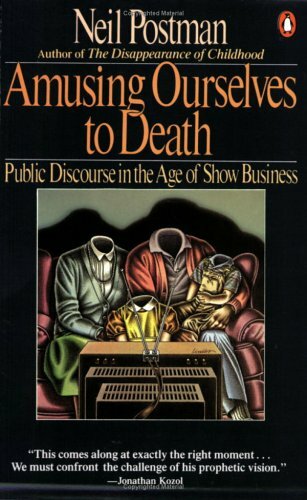 The book was written in the mid-80's, but Media consolidation has only increased since then and the ideas here are even more relevant today. This book also explains the origins of "objective" news and the rise of experts, which was very helpful. It gets a bit bogged down in the math of the business at times, but it makes a very interesting case that things don't have to be the way they are now. This was my introduction to the largely invisible Public Relations industry. I became aware of Stauber and Rampton a few years ago through their weblog, Spin of the Day. 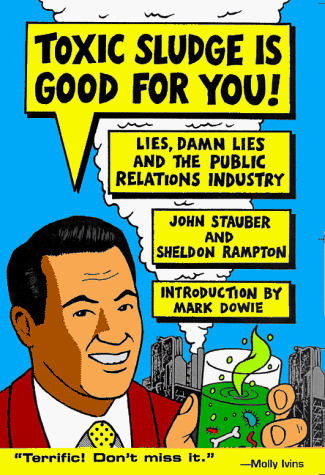 This book explains PR tactics like "astroturfing", and shows how big the Public Relations industry is—even though you rarely hear about it. 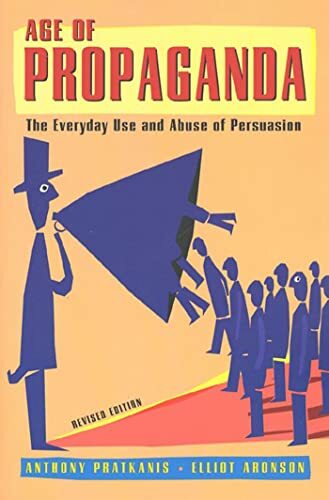 This book also introduced me to the father of Public Relations, Edward Bernays, and I've been fascinated by him ever since. That's it—my personal guerilla course in Media Literacy. The list may seem a bit negative, but these books have really helped me understand some of the ways the Media influences me. And I think it's my responsibility to know the good and bad of the Media, so I can make any changes necessary. Or as Marshall McLuhan more hopefully put it, "there is absolutely no inevitability as long as there is a willingness to contemplate what is happening." I hope these books will help you contemplate what's happening in Mass Media like they've helped me. Derek and Heather are putting together an offline, paper magazine devoted to amateur self-web-publishing photographers like myself called JPG Magazine. I think it's a fantastic idea, and I'm really looking forward to seeing it. Though if the target audience is "photobloggers", I think a website would make more sense. (Like Michael Buffington's wordphoto.) But I think JPG Magazine could be an excellent way to bring the world of web-photographers to a larger, not-as-web-savvy audience. I think Mind Hacks is going to be a fun one. If you want to check out the current state of brain-hacking before it's out, check out Mind Wide Open by Steven Johnson. There is something eerily beautiful and chilling about ASCII_BUSH. We'd love to tell [undecided voters] to take a hike, but we're afraid to alienate you. If we really had any brains, we wouldn't spend another second on you, but on the people who can truly make a difference: the "unlikely" voters. And there are millions more of them than there are of you. Those people aren't after attention, they're just incredibly lazy. I finally got my voter registration card in the mail a few days ago, so I'm all set. If you haven't registered yet, you can download, fill-out, and mail the National Mail Voter Registration Form (PDF). The deadlines are approaching, but you still have some time to get it done. There are probably some online forms you could fill out too, try Googling Register to Vote. My interest in the web and tech was always more about people. With weblogs, it was making it possible for everyone to write online and share and communicate. And while I was doing it, I really did care very deeply about my work...But something was always missing, and I've realized that was true passion for what I was doing. Want a behind-the-scenes look at meg's culinary skills? Here are some snapshots of her making pasta at my place in Sebastopol years ago. Corvallis has had nightly anti-war protests for almost three years now—one of the longest continuous protests in the country. The Gazette-Times just did a story, Vigil nears third anniversary. There's nothing like rocking out to geekspeak at 80 mph. 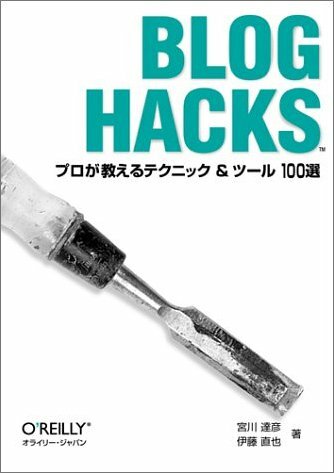 Looks like O'Reilly has a Japanese Blog Hacks book (blog = chisel?). I wonder if they'll publish a version in English. 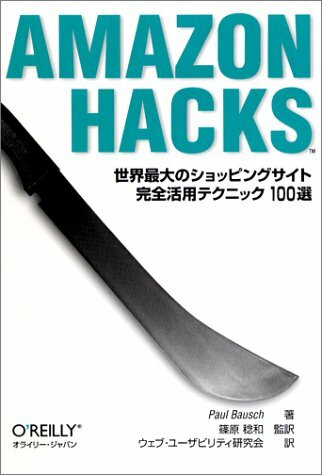 Looks like they have a Japanese version of Amazon Hacks too, cool! Erik Benson started a company with some friends called The Robot Co-op. Based on the job openings descriptions there, it sounds like they'll be doing something with weblogs. Happy Labor Day! (tomorrow in the US) Labor Day is brought to you by The Labor Movement. (You may remember them as the folks who brought you the weekend.) Thanks! Most of these could apply to weblog authors as well. Have you heard Maciej Ceglowski's Audioblogging Manifesto? I wish I had the skills to put together a Flash animation using this audio. Matt got a great shot above San Francisco.